The Federal Government said it would go ahead with the physical hand over of the company's assets to the new owners on November 1 despite the threat of a nationwide strike by electricity workers . The Permanent Secretary, Ministry Of Power, Godknows Igali, after a meeting with Vice President Namadi Sambo, on the power privatisation process,said on Wednesday that the government had made significant progress in the payment of the disengaged workers. According to him, 40,093 out of the 47,913 identified disengaged PHCN workers had been fully paid their entitlements which he put at N294.4 billion. He explained that government was working hard to ensure that all PHCN workers, whose record had been validated, were paid. 'The severance aspect goes directly to the account of the beneficiary and a lot of them have confirmed that they have got the alert in their acounts. 'Those who have not got the alert is because of the issues of banks that have not completed their processes, but government has given orders to all concerned banks to ensure all workers get the alert. 'For the gratuity payment, it goes to the pension fund custodian. They get the money and after that goes to the pension fund administrators. 'So, the funds have left government and gone to the custodians and administrators of the various beneficiaries,' Igali said. The permanent secretary said record of an additional 605 workers had also been validated last Tuesday and their payment effected. According to him, government was cautious in the certification process of the former PHCN employees, to ensure that all those that were paid were authentic workers of the company. Igali further stated that there was a problem with 1,478 workers in the Enugu Distribution Company, as their biometric capture got corrupted by virus, adding that a consultant had moved to site to recapture them. He added that the biometric capture of 929 workers around the country was also corrupted, because of the large number of people involved in the exercise. He assured that those affected would soon be brought to Abuja at the expense of government to be recaptured. Another problem he pointed out were cases of duplication of names and bank accounts of about 1,000 persons, while about 2,500 had no record that they were PHCN workers, though they had been identified as casual workers in the system. The Bureau of Public Enterprise (BPE), in a statement, also said about 84 per cent of the workers had been paid off, while others would be paid between Wednesday and Thursday. However, workers said banks had refused to honour the government's directive to pay them. They said if their entitlements were not paid by the end of October, the entire workforce of PHCN in all the 36 states would embark on indefinite strike. It will be recalled that President Gooduck Jonathan had formally handed over the Power Holdings Company of Nigeria, PHCN, to private organisations that bought it, with a pledge that they would take over the companies without any liabilities. The President who personally gave out the licenses and share certificates to the investors at the Aso Rock Villa stated that liabilities of the PHCN would be managed by Nigerian Electricity Liability Management Company, NELMCO. Speaking on Wednesday, the general secretary, Joe Ajaero, said no physical handing over could take place until all outstanding severance packages had been settled. 'How do we explain when new owners take over the assets while we are still under the Federal Government payroll. Let them pay the workers and the new owners can retain whoever they wish to employ,' he said. Moreover, industry analysts opined that the transition process would be completed by February 2014, when the Transitional Electricity Market (TEM) is expected to take effect. 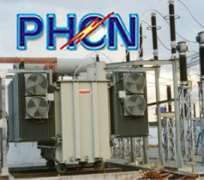 The Trade Union Congress (TUC) has, however, called on the Federal Government to defer the proposed handover date of PHCN successor companies to the new owners until all agreements with the unions are met. The government had proposed November 1 as the date for the handover of the successor companies to new investors. But the deputy secretary-general of TUC, Mr Simeso Amachree, made the call in Lagos, on Wednesday, in an interview with the News Agency of Nigeria (NAN). Amachree said the government must be seen to deal fairly and transparently with the workers, to avoid unpleasant consequences. Amachree added that the unions would engage in peaceful and legal means to compel the government to honour its agreement with them.